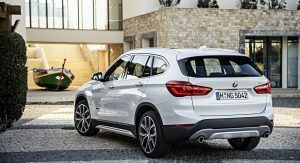 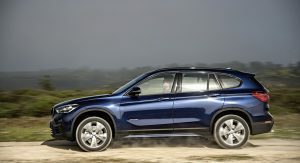 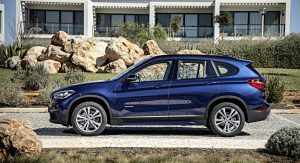 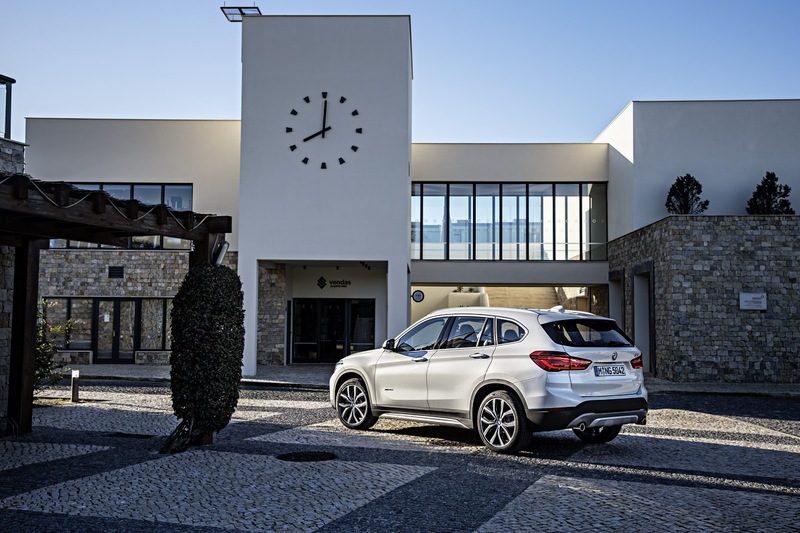 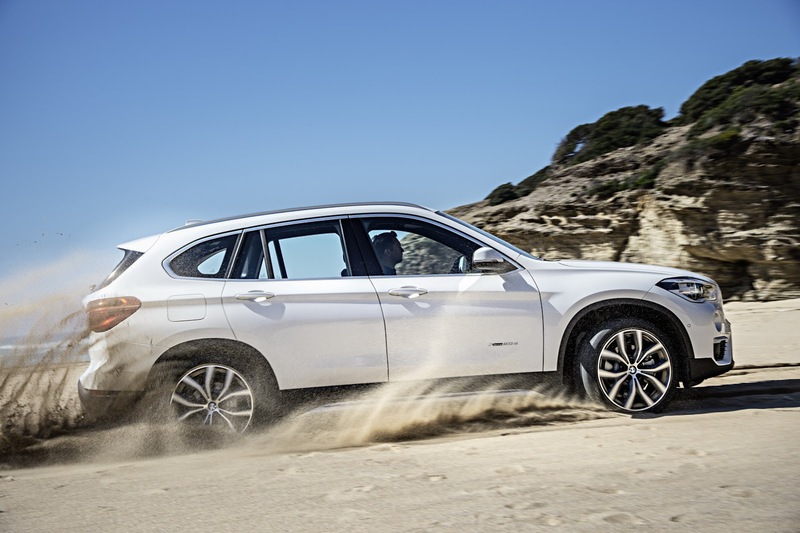 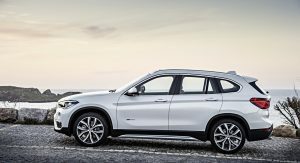 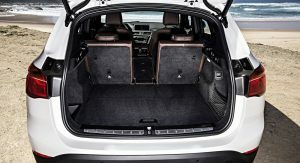 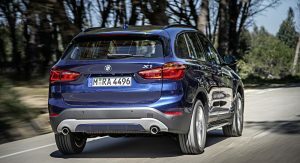 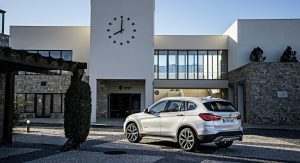 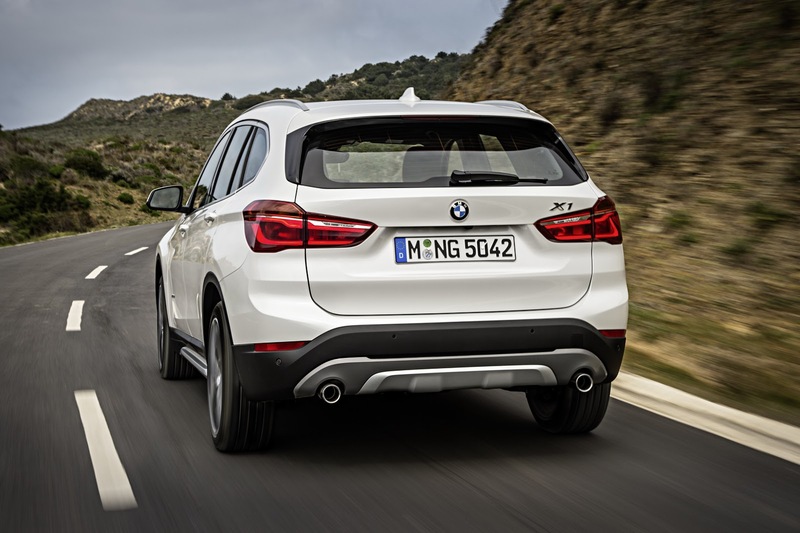 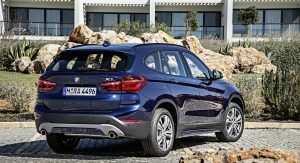 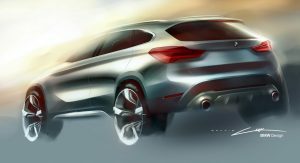 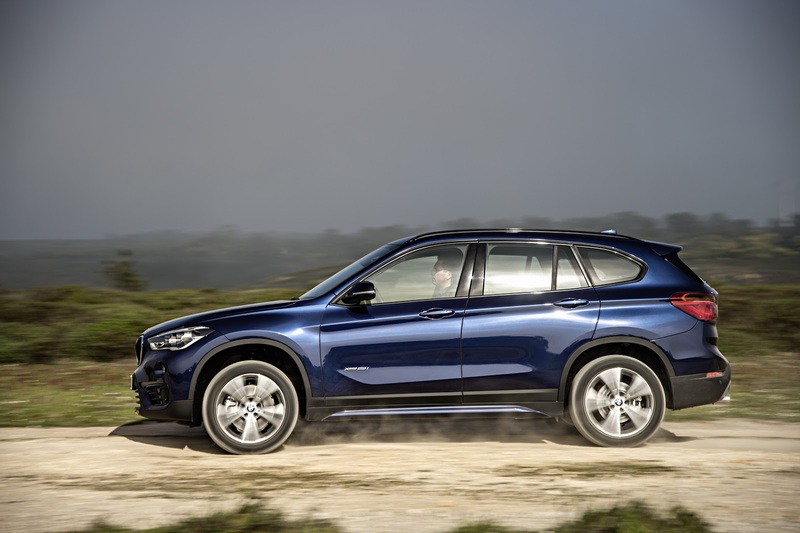 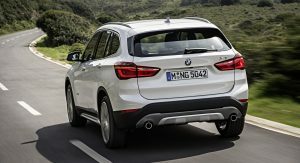 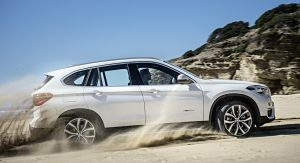 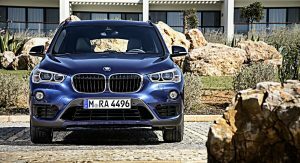 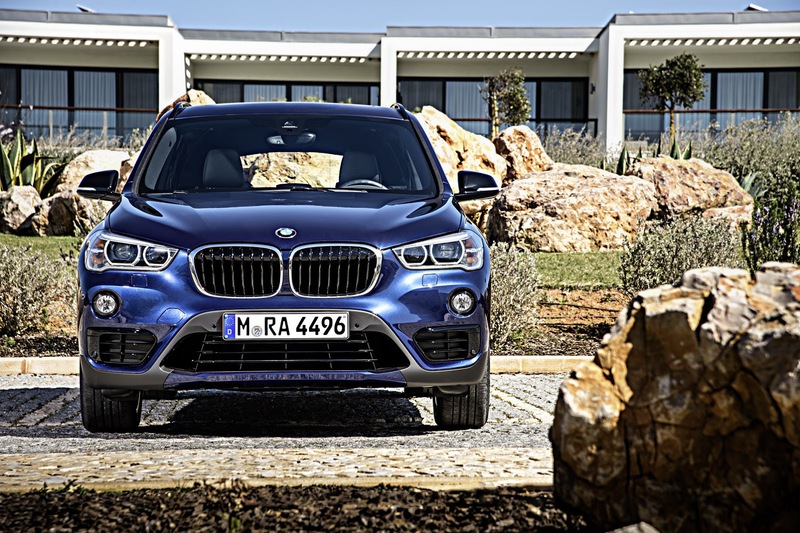 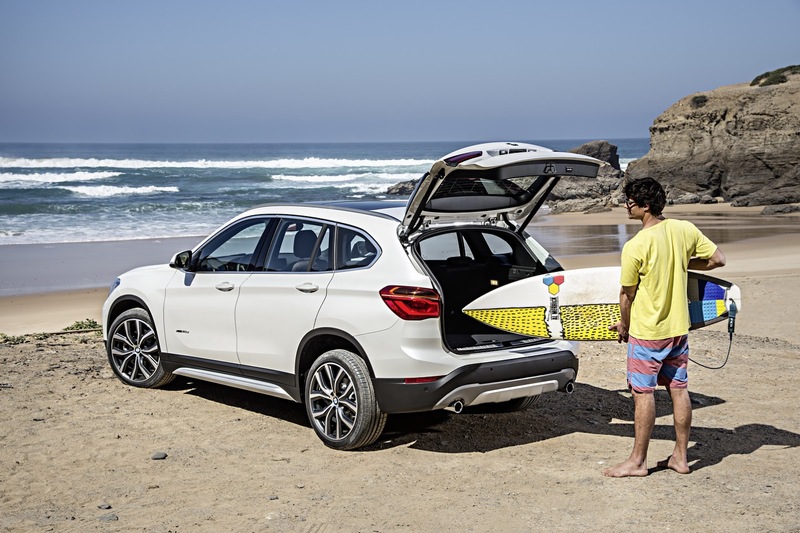 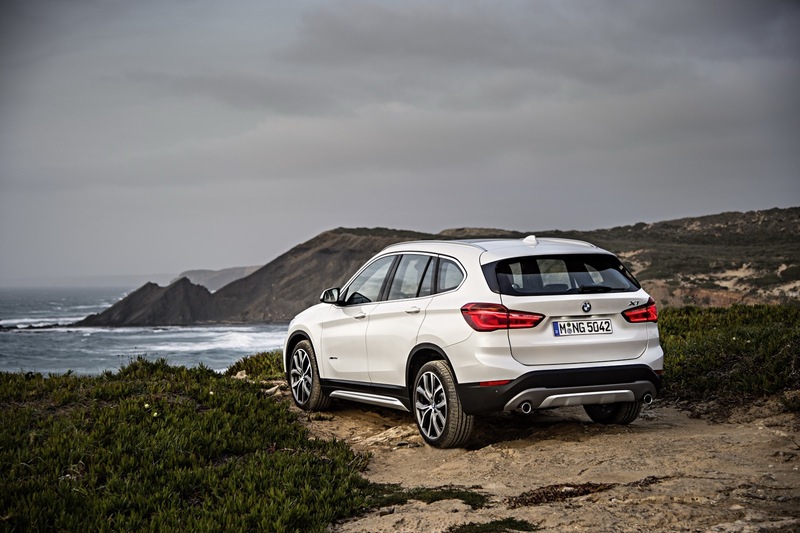 Say hello to BMW’s all-new X1 that marks a significant departure from its predecessor, as it’s the firm’s first ever SUV to be built on front-wheel drive hardware. 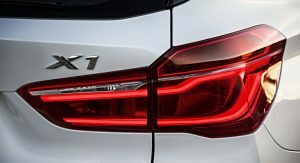 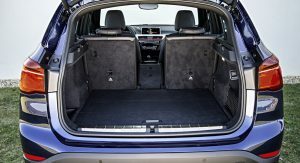 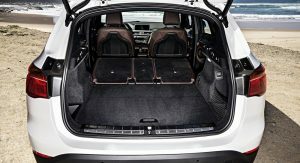 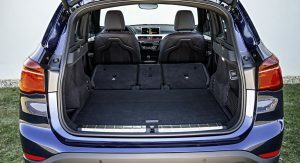 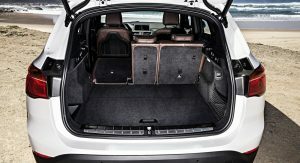 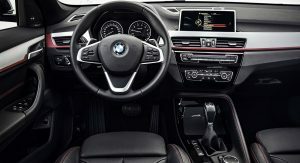 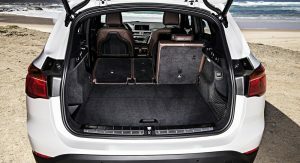 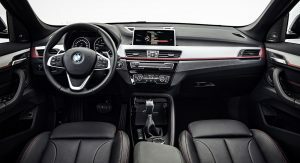 Whereas the outgoing, first-generation X1 shared its rear-wheel drive set-up with the previous 3-Series Touring, the new model is based on the BMW Group’s UKL1 architecture found in the latest MINI family and the BMW 2-Series Active and Gran Tourer minivans. 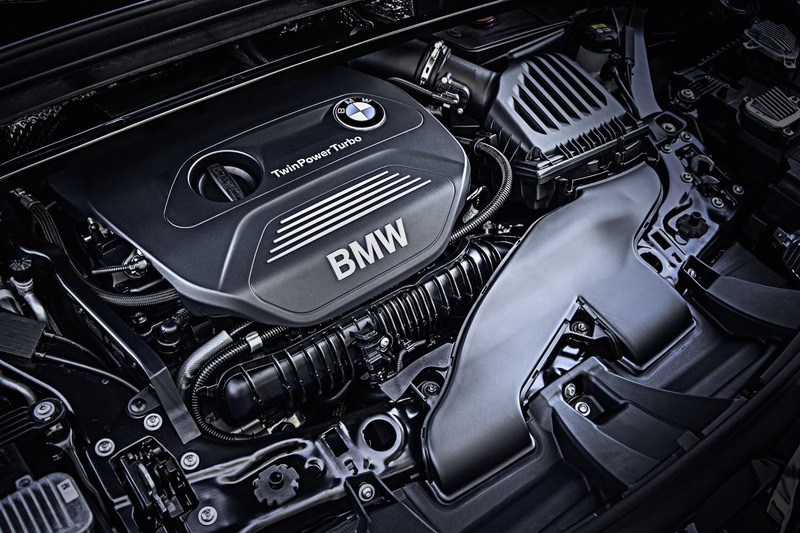 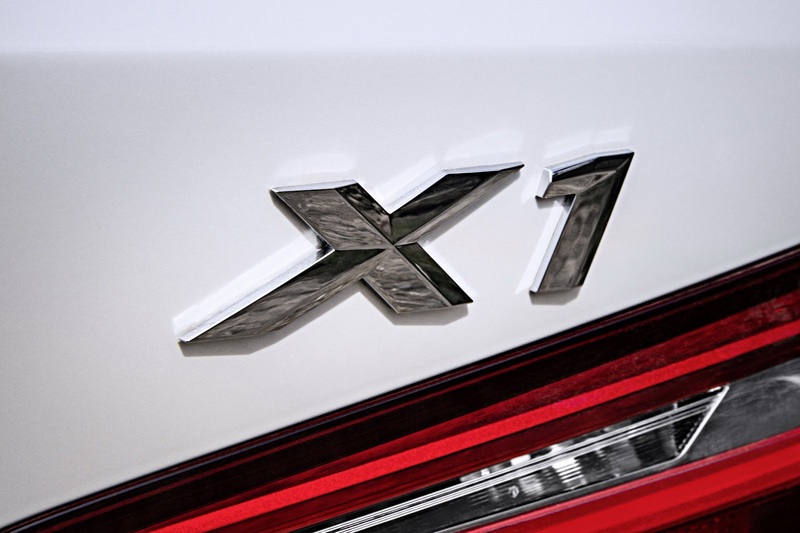 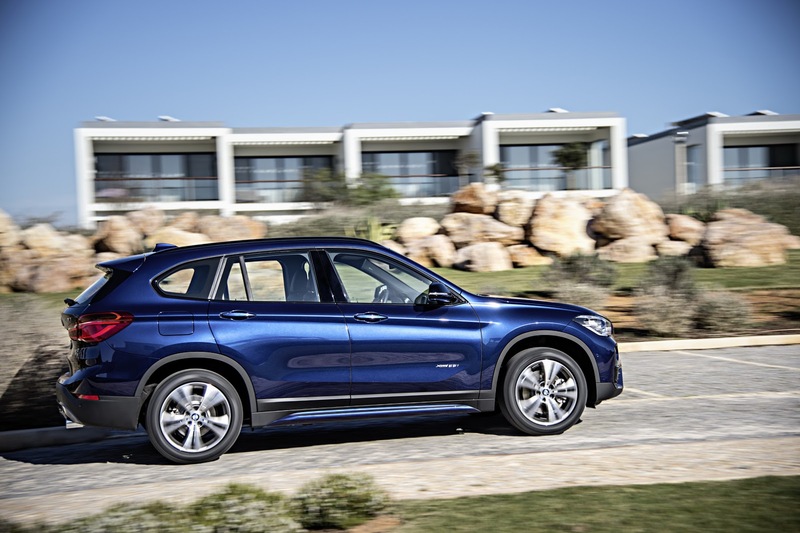 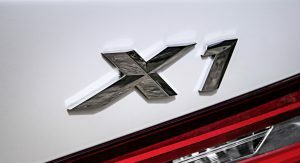 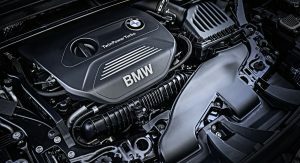 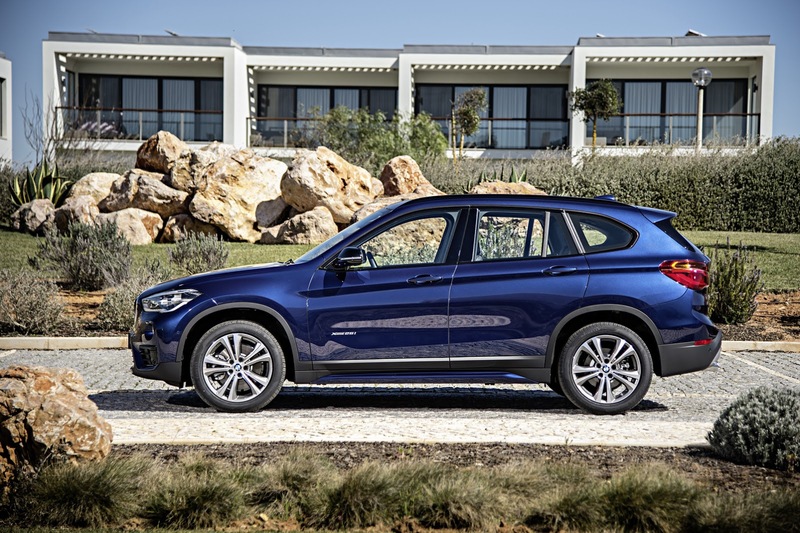 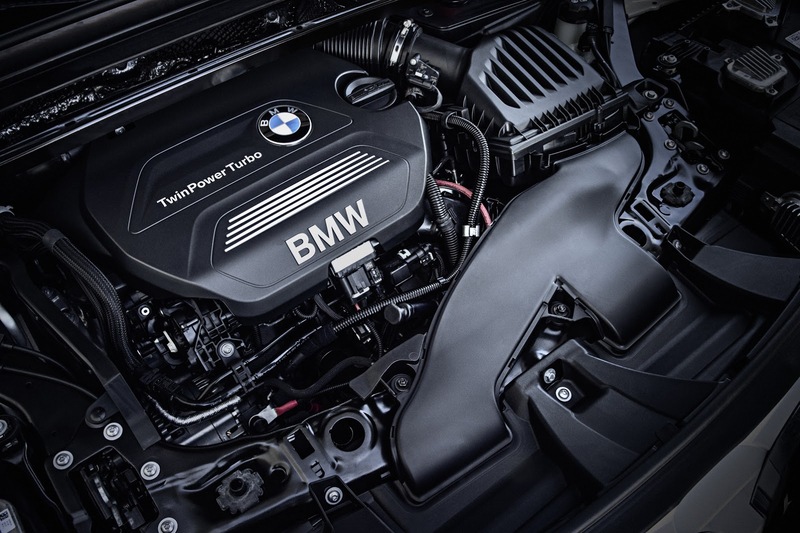 Together, out goes the longitudinal engine mounting and in comes a more space-efficient transverse layout for the X1’s new 1.5-liter three-cylinder and 2.0-liter four-cylinder turbocharged engines. 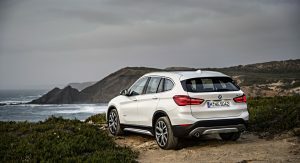 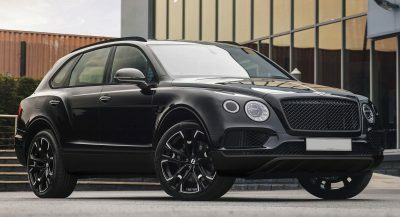 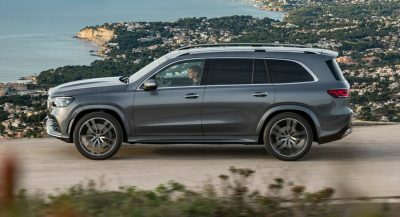 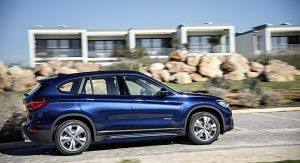 The initial launch lineup in Europe will include three 2.0-liter petrol models, the (FWD) sDrive20i and (AWD) xDrive20i with 192PS (189hp) and 280Nm (206 lb-ft), and the xDrive25i with 231PS (228hp) and 350Nm (258 lb-ft). 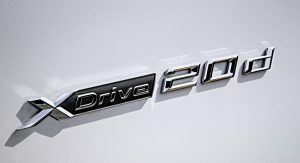 There will also be three 2.0-liter diesel models, the (FWD) sDrive18d with 150PS (148hp) and 330Nm (243 lb-ft), the (AWD) xDrive20d with 190PS (187hp) and 400Nm (295 lb-ft) and the xDrive25d with 231PS (228hp) and 450Nm (332 lb-ft). 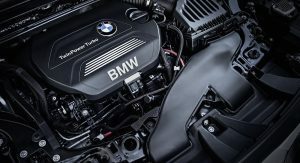 The three-cylinder petrol and diesel units will be introduced later on. 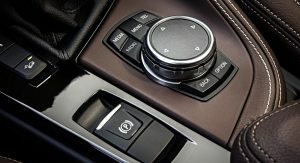 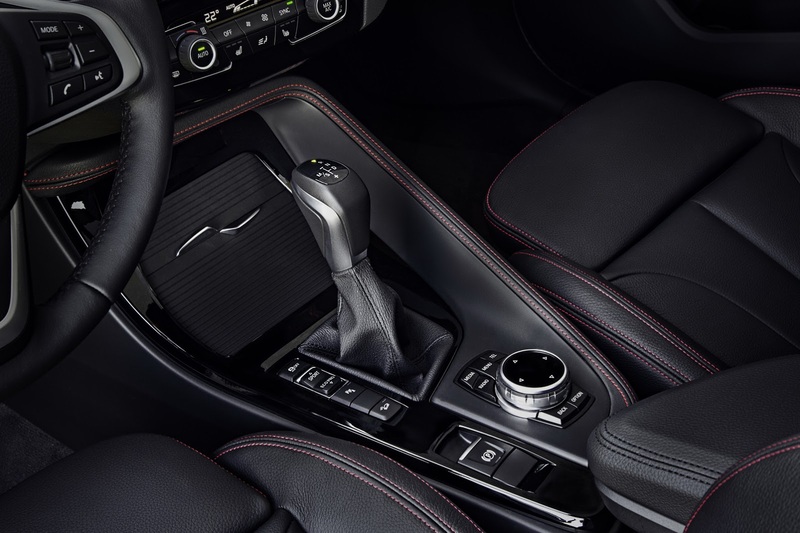 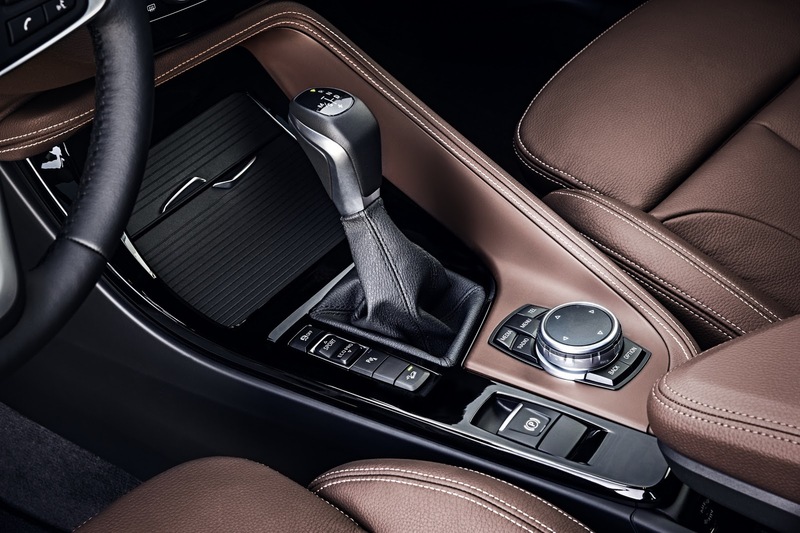 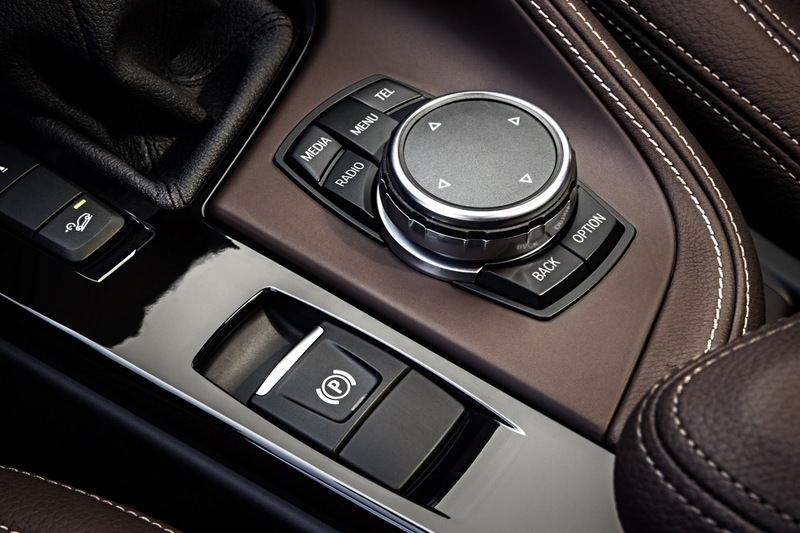 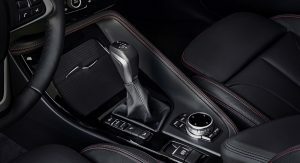 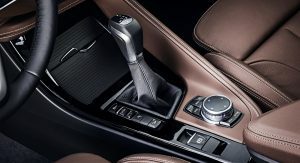 Both six-speed manual and eight-speed automatic transmissions will be on offer. 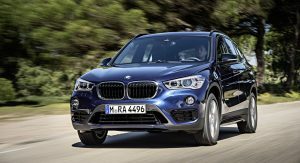 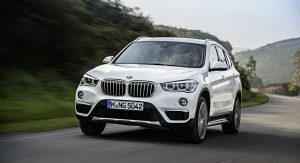 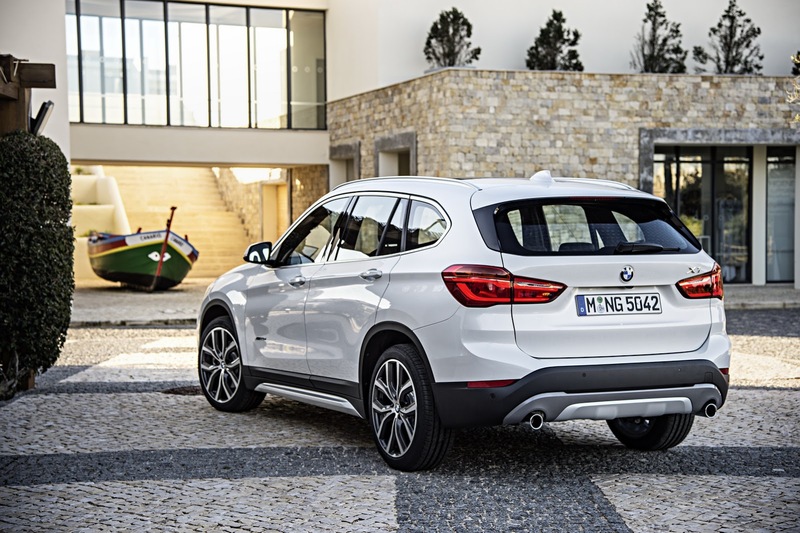 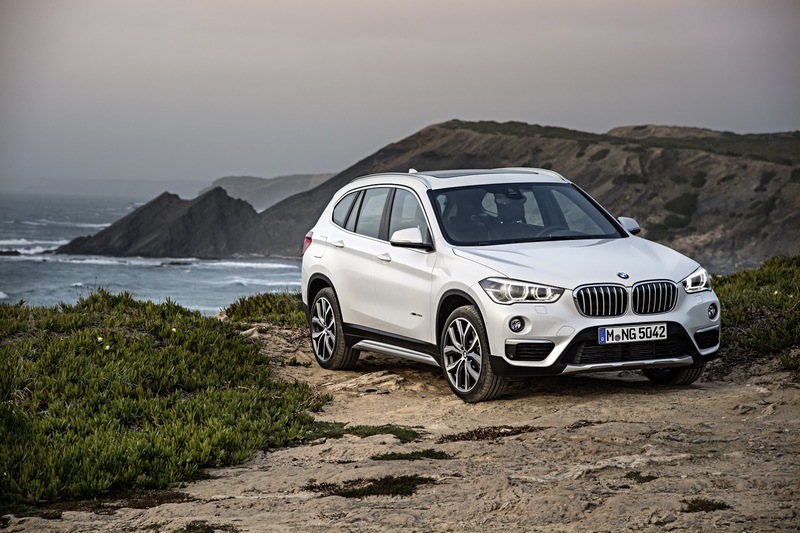 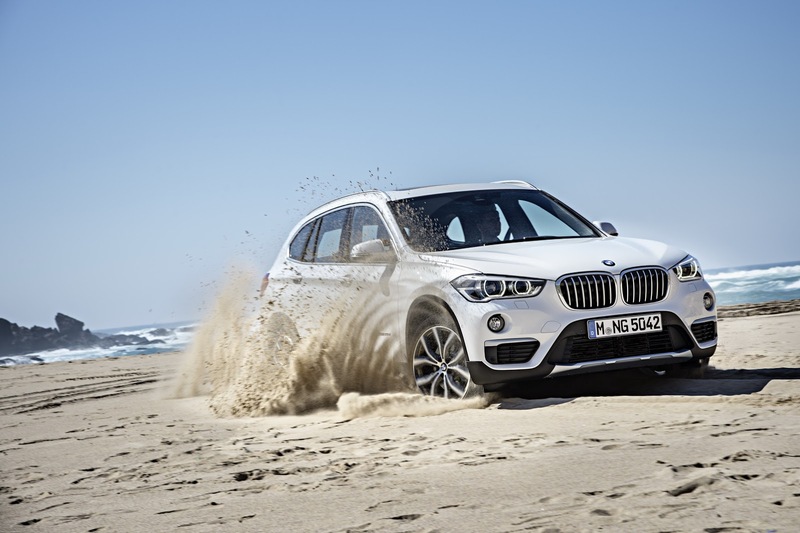 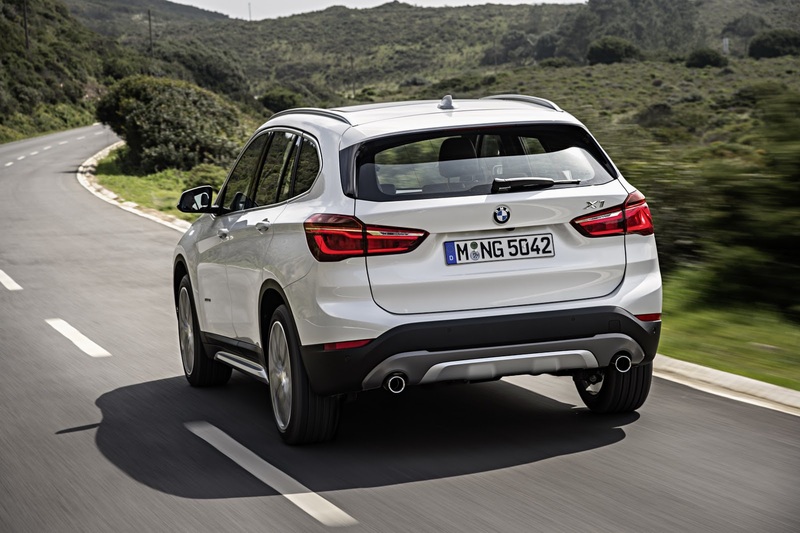 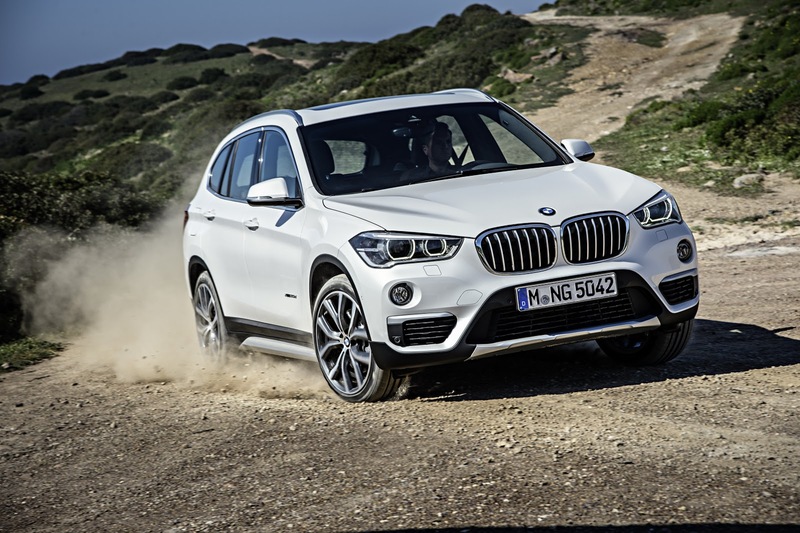 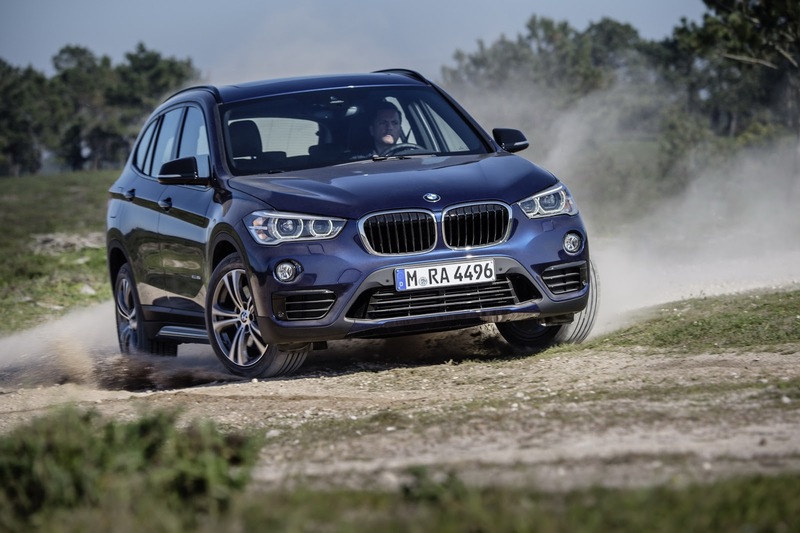 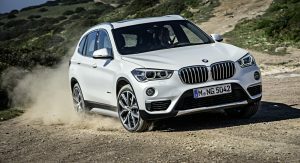 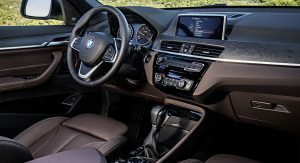 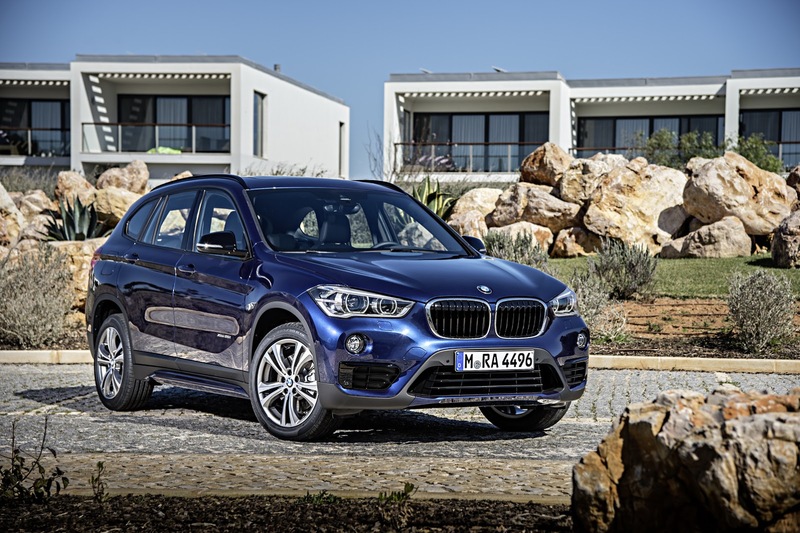 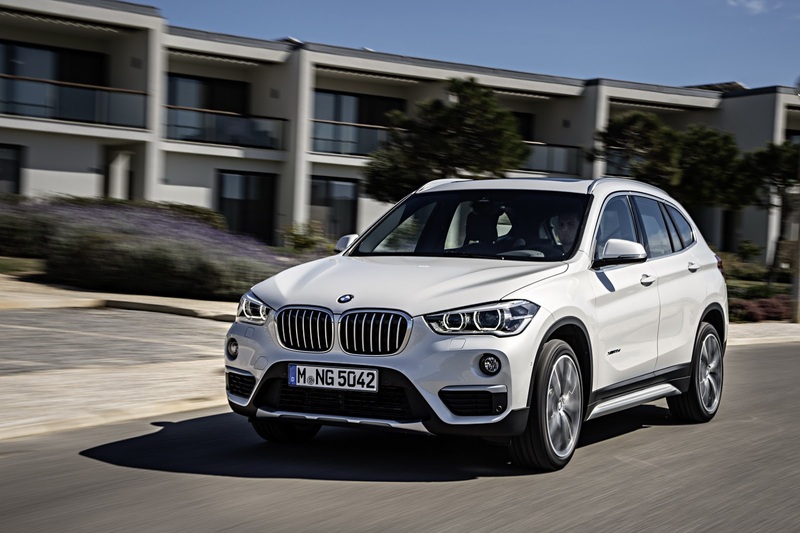 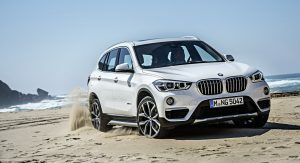 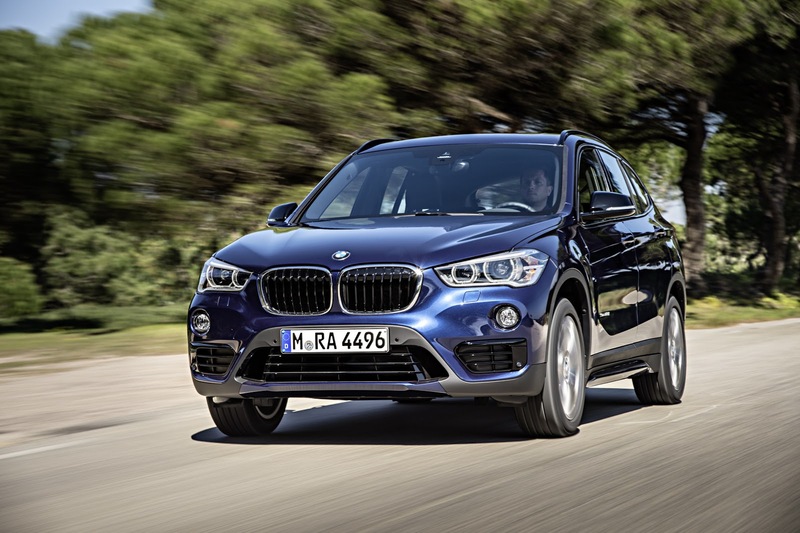 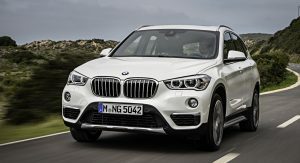 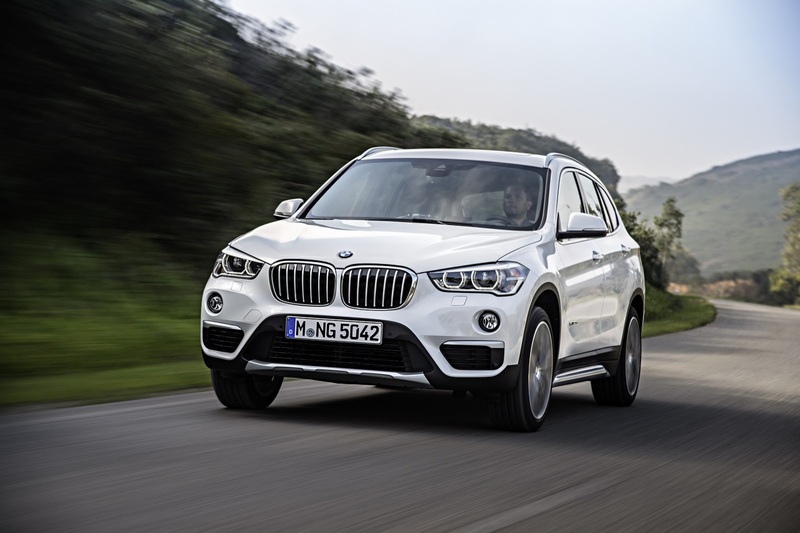 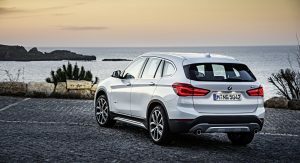 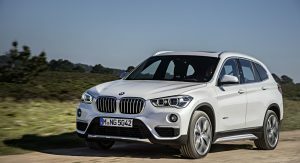 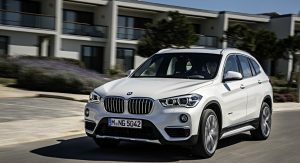 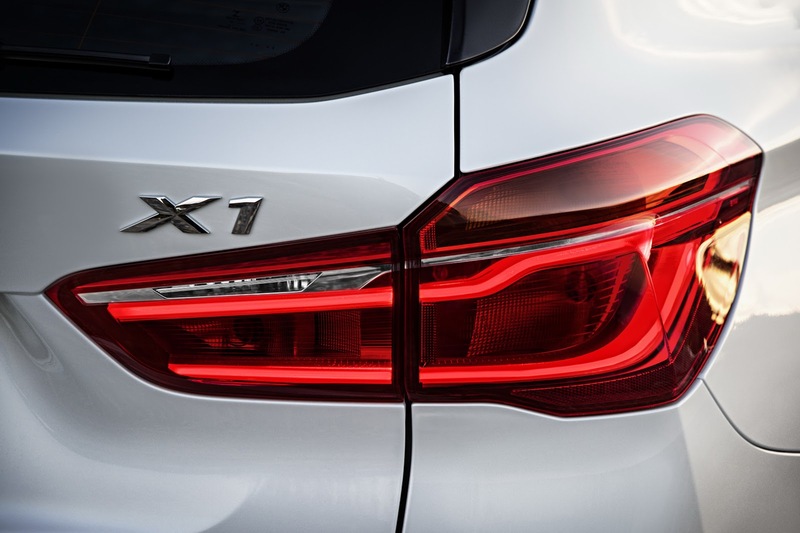 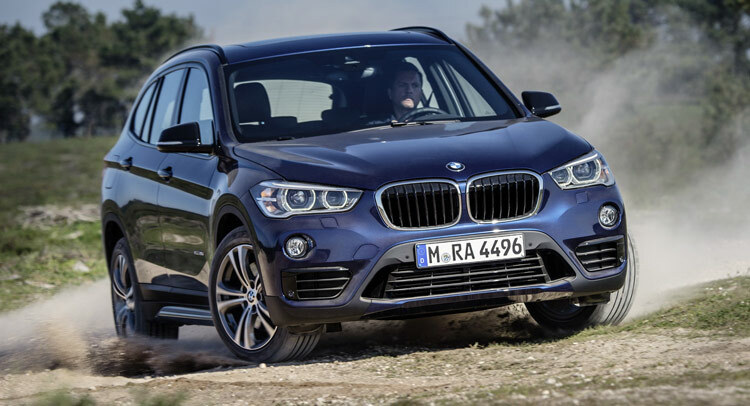 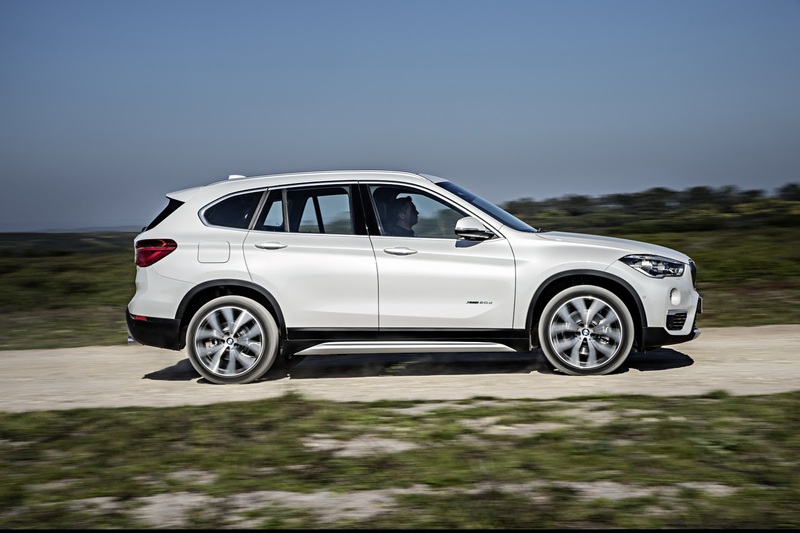 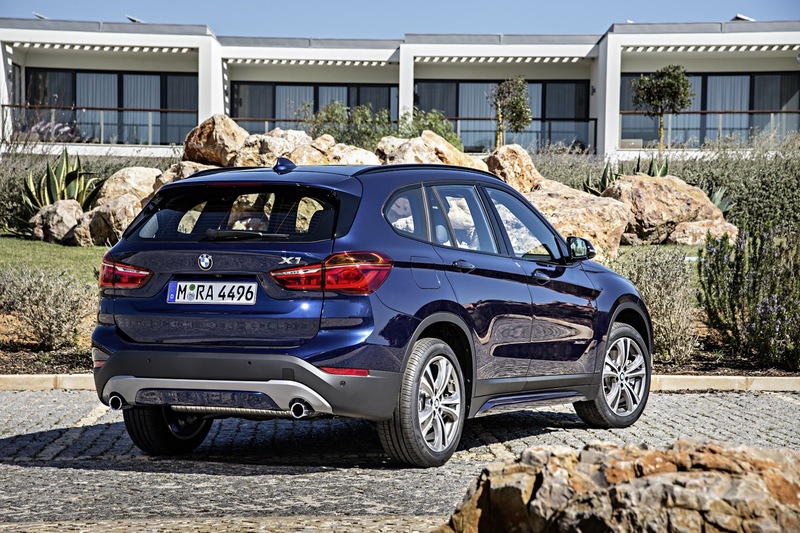 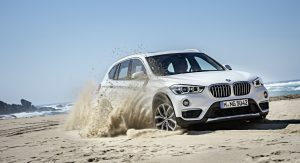 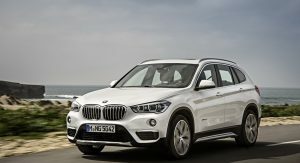 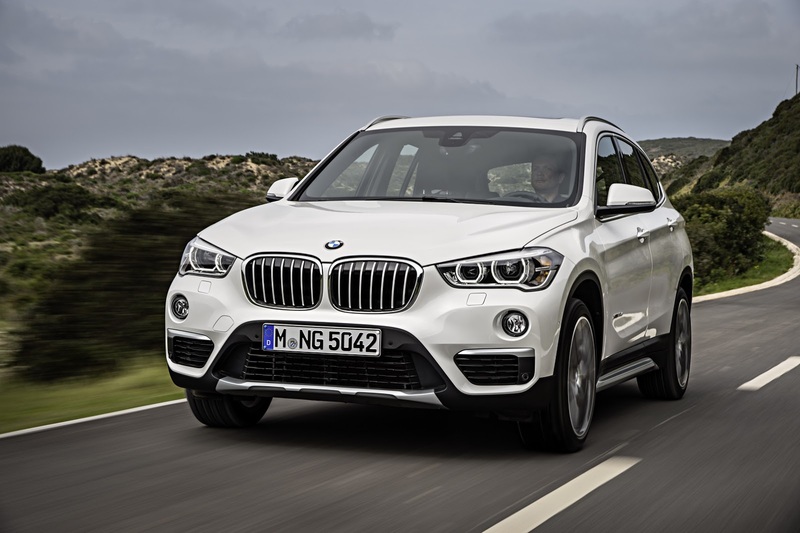 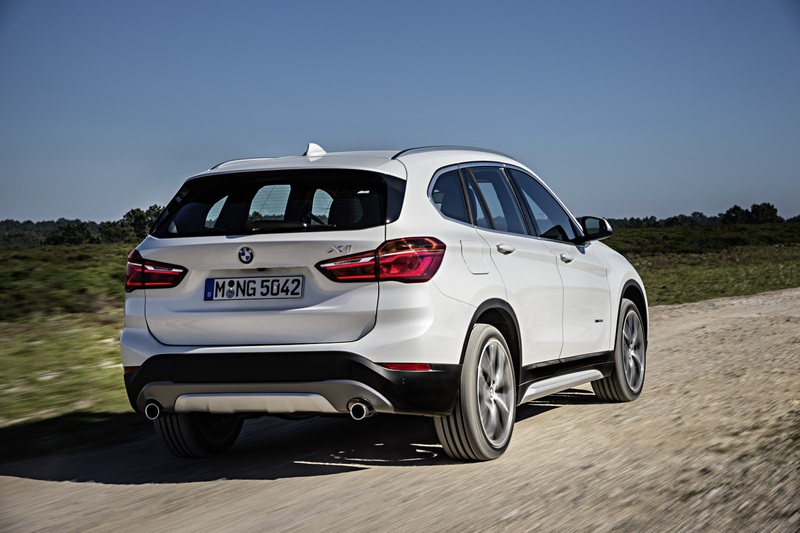 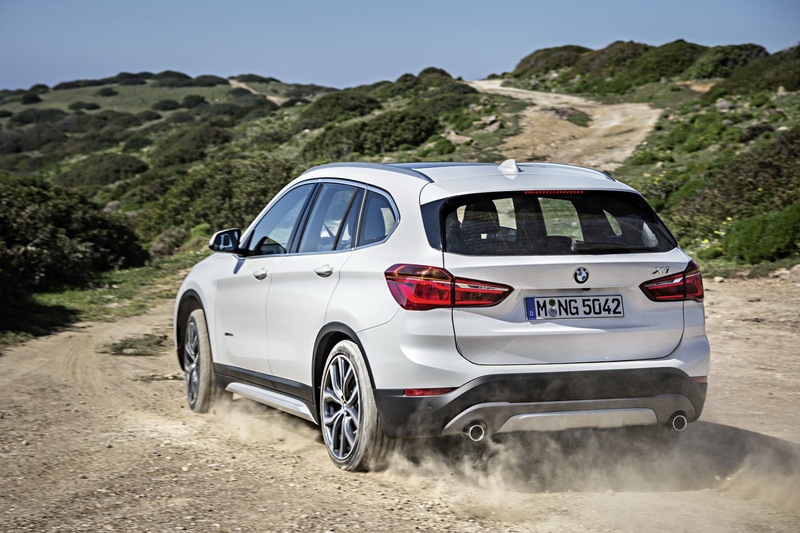 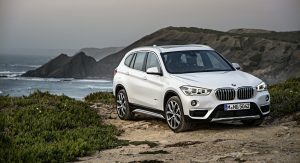 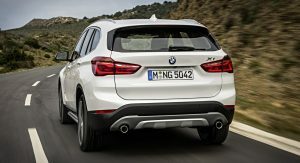 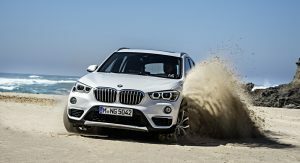 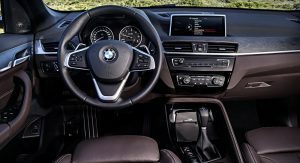 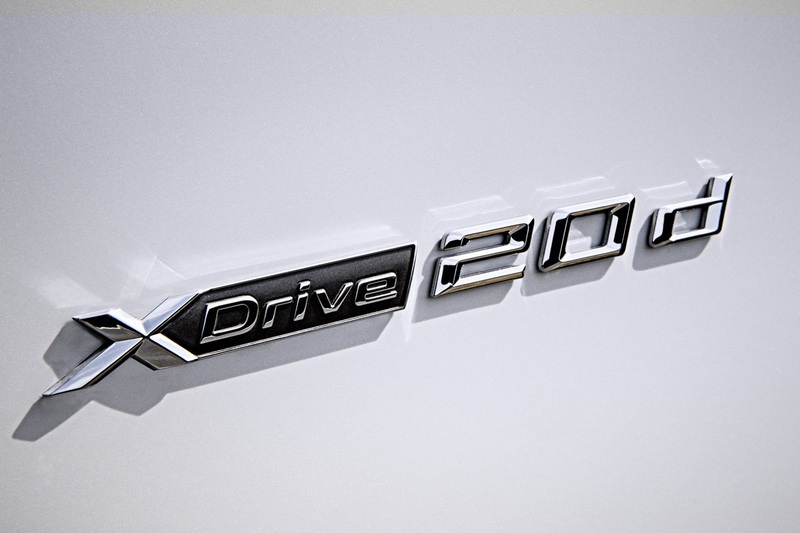 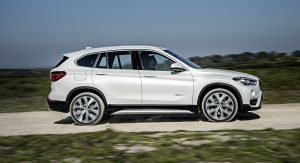 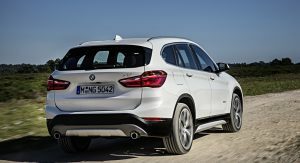 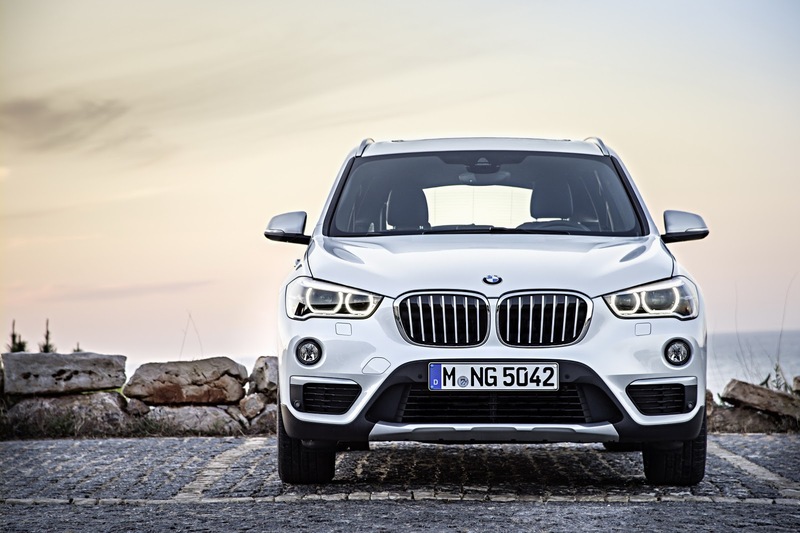 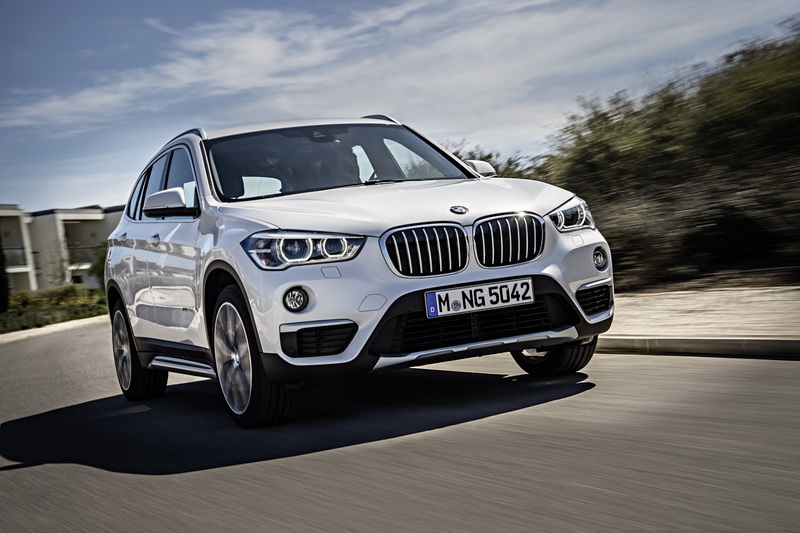 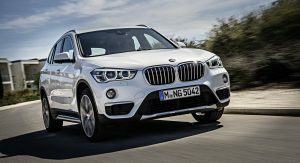 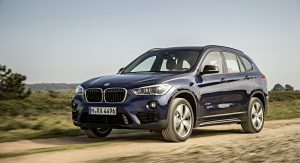 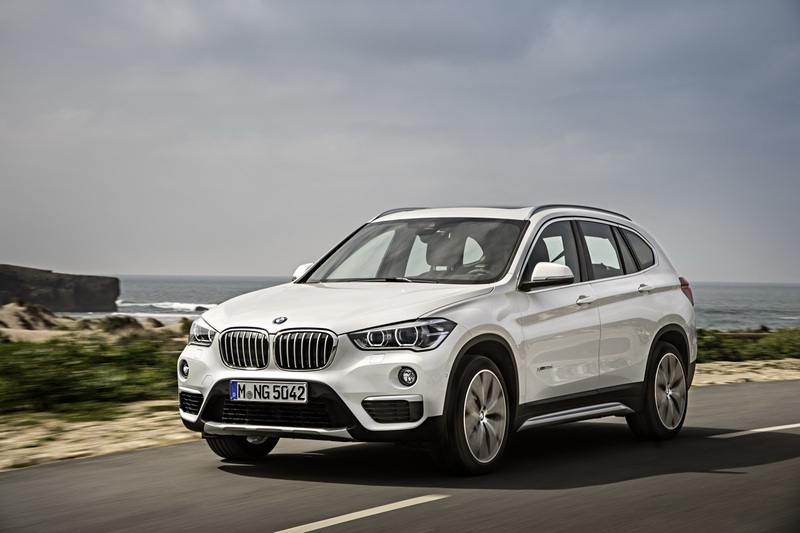 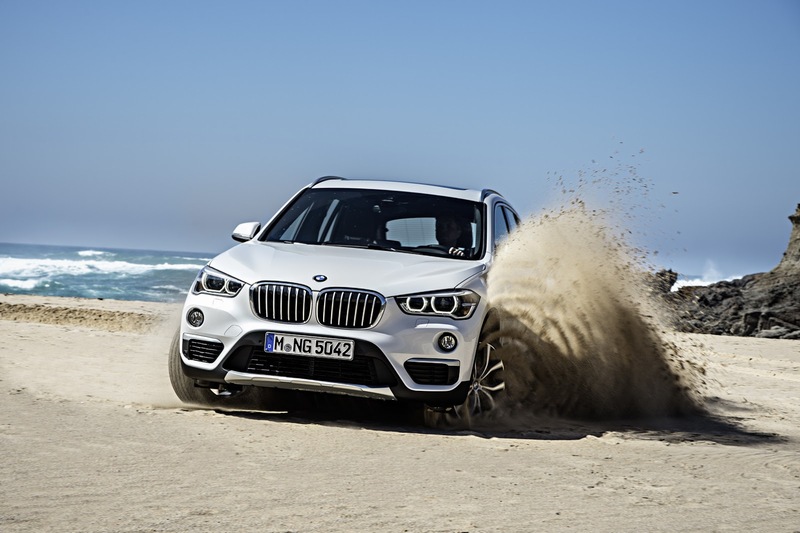 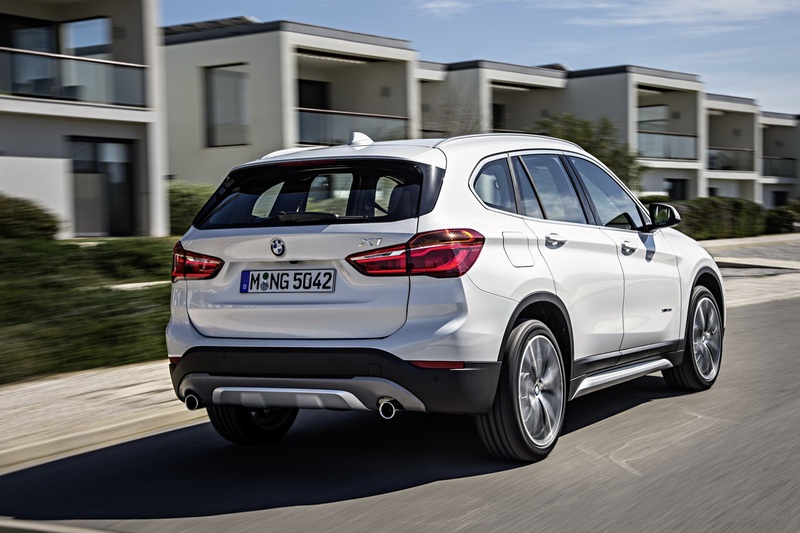 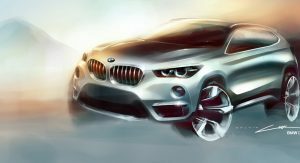 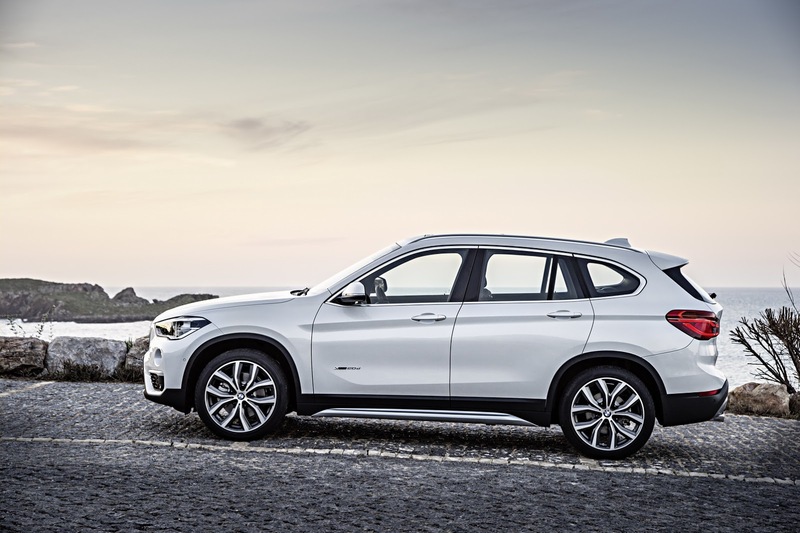 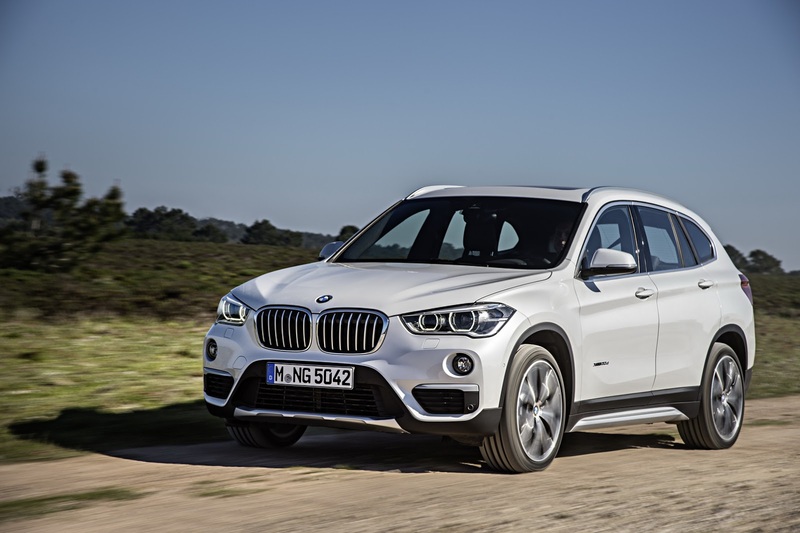 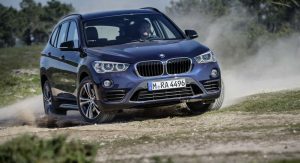 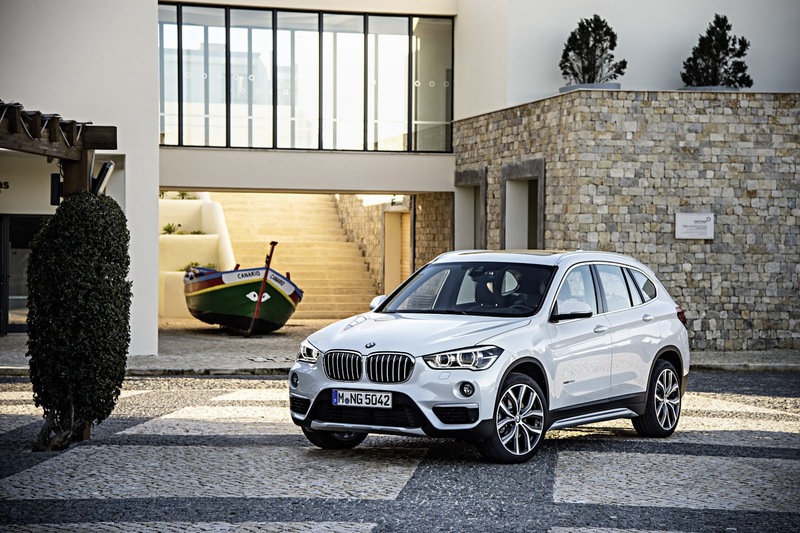 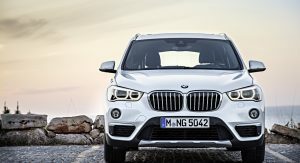 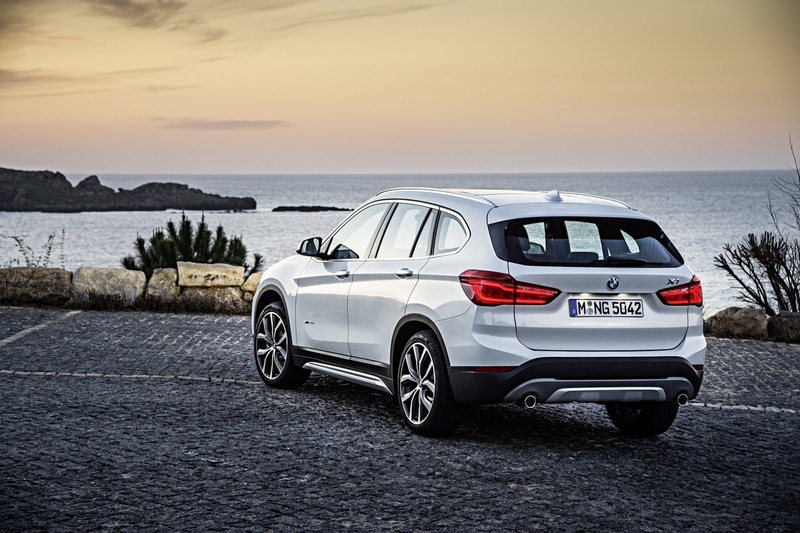 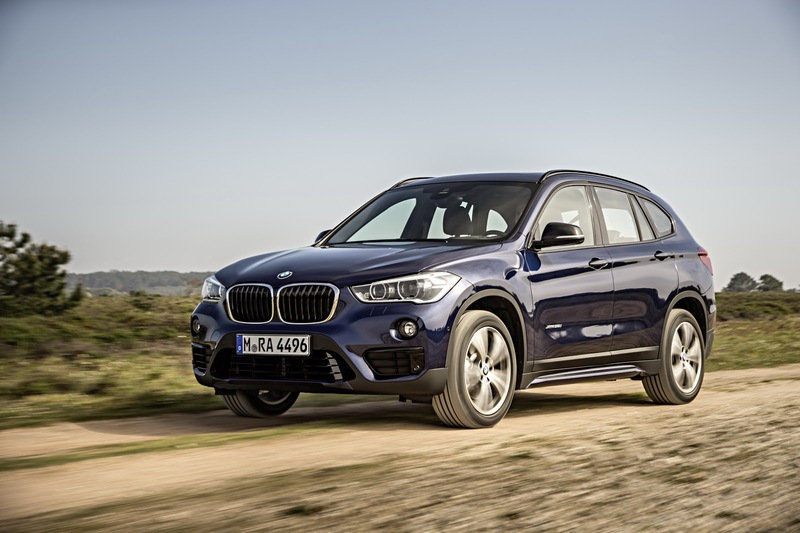 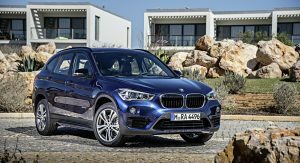 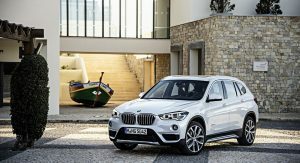 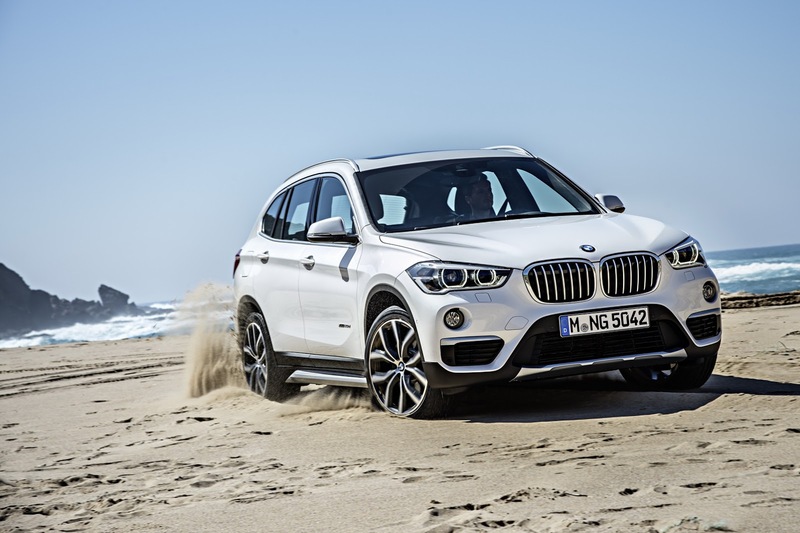 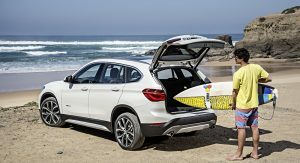 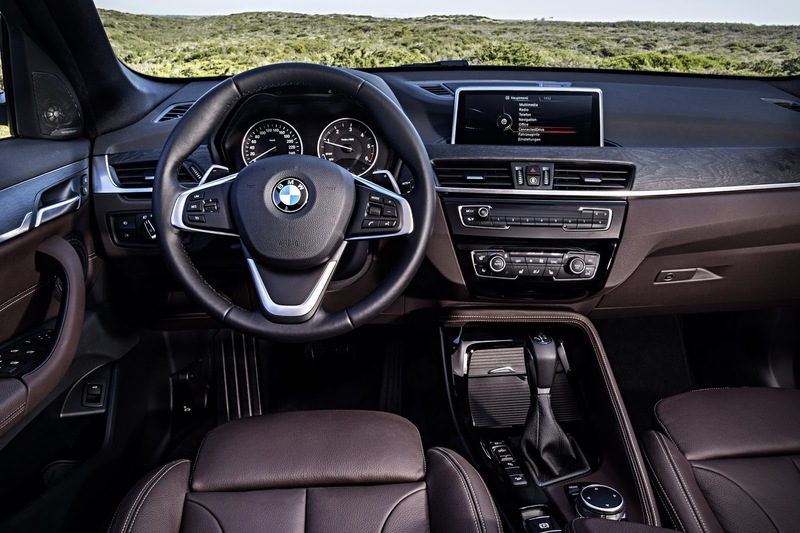 In North America, BMW will launch the X1 this fall as a 2016MY with a single engine option, the xDrive28i sporting a 2.0-liter turbo’d straight-four with 228hp and 258 lb-ft of peak torque paired to a standard eight-speed automatic for a 0-60mph (96km/h) sprint time of 6.3 seconds. 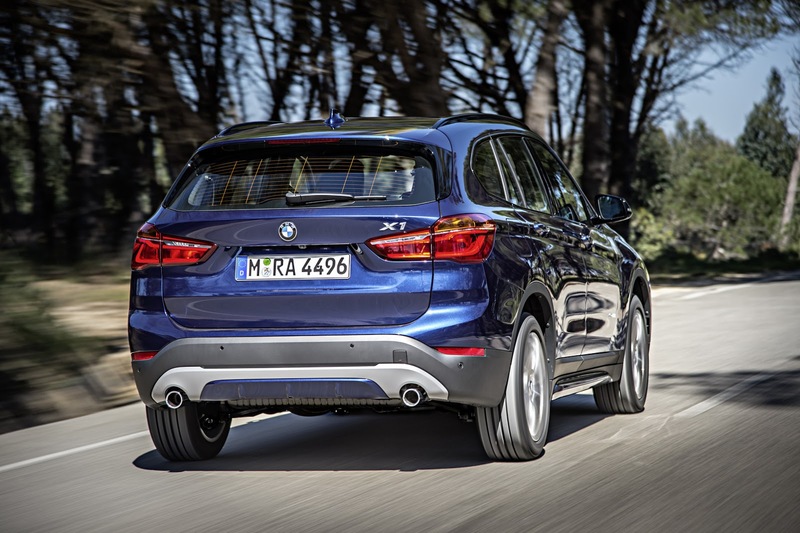 Looking like the offspring of the 2-Series Active Tourer and the facelifted X3, the new X1 is 36mm (1.4 in.) 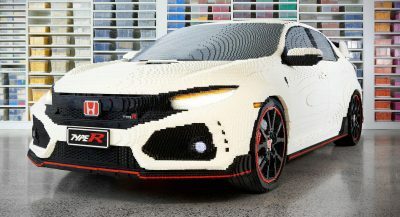 shorter than its predecessor at 4,439mm (174.8 in.) long, but it’s also 21mm (0.8 in.) 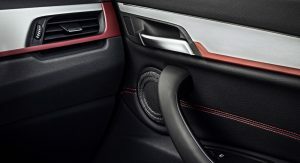 wider at 1,821mm (71.7 in.) 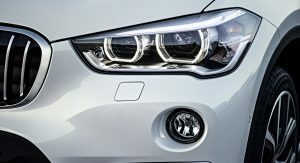 and 53mm (2.1 in.) 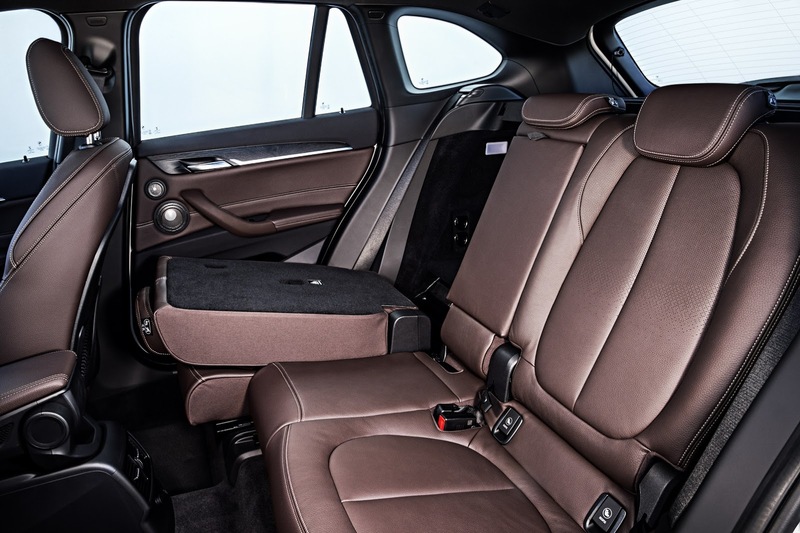 taller at 1,598mm (62.9 in.). 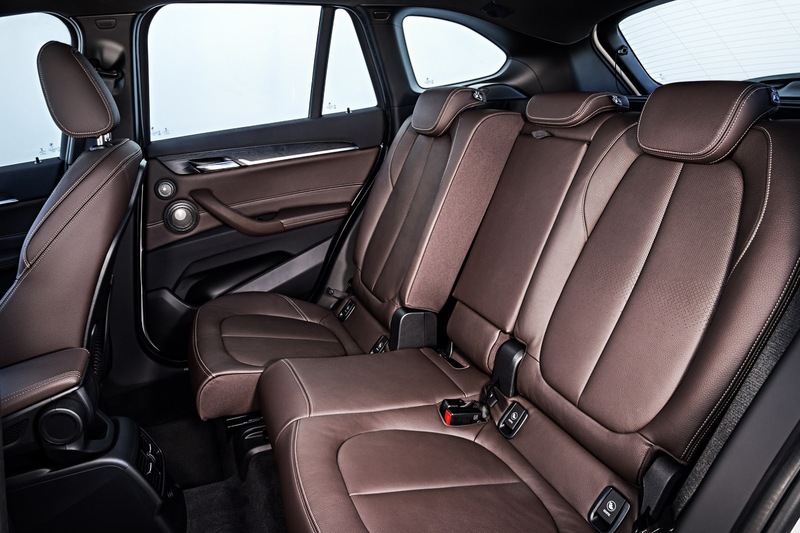 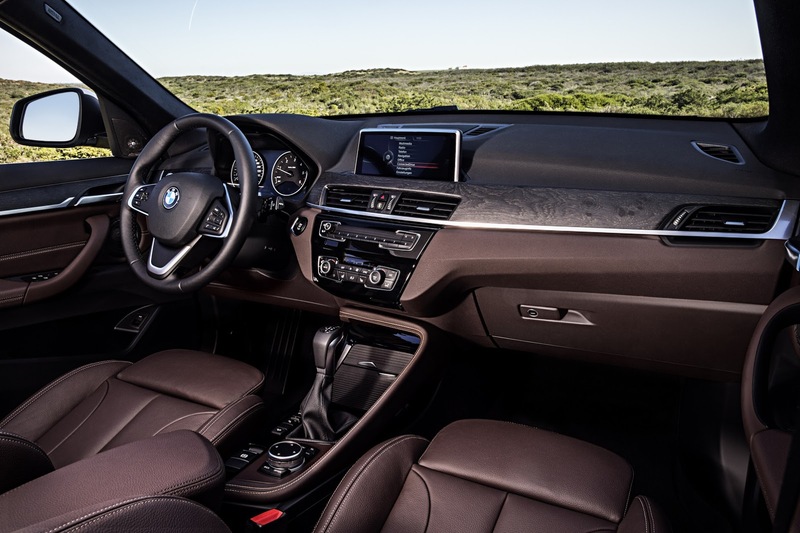 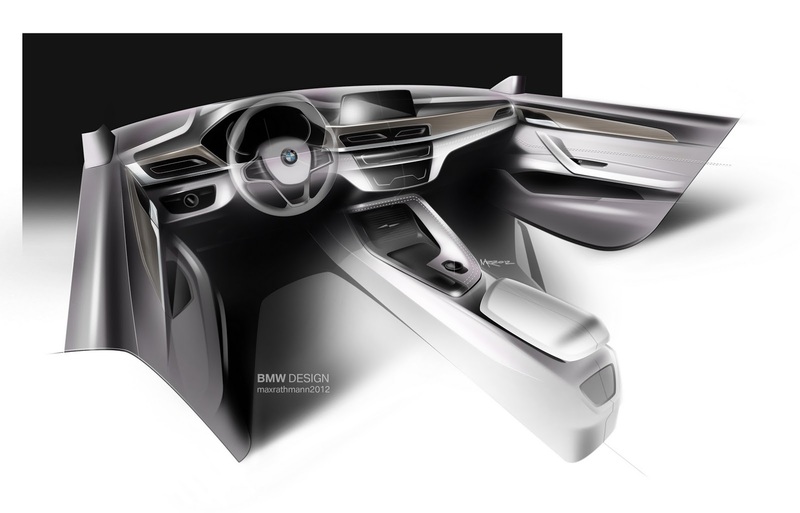 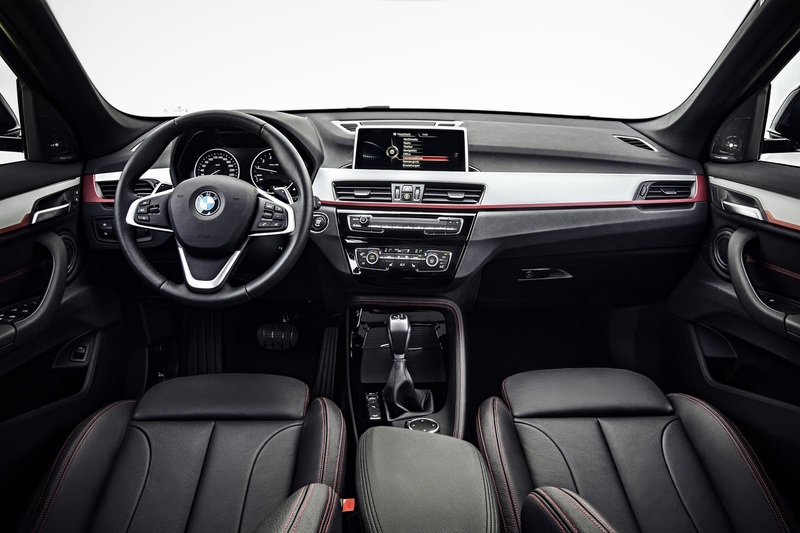 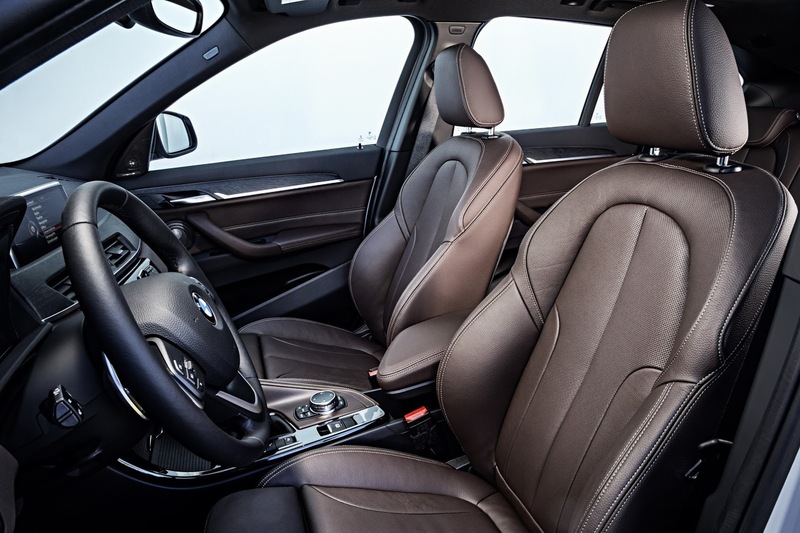 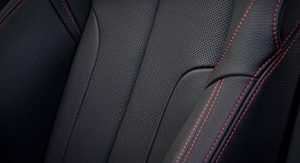 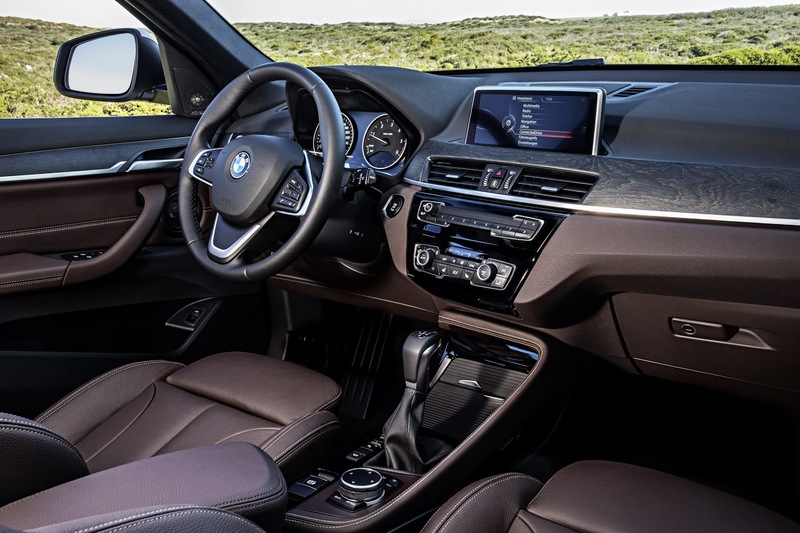 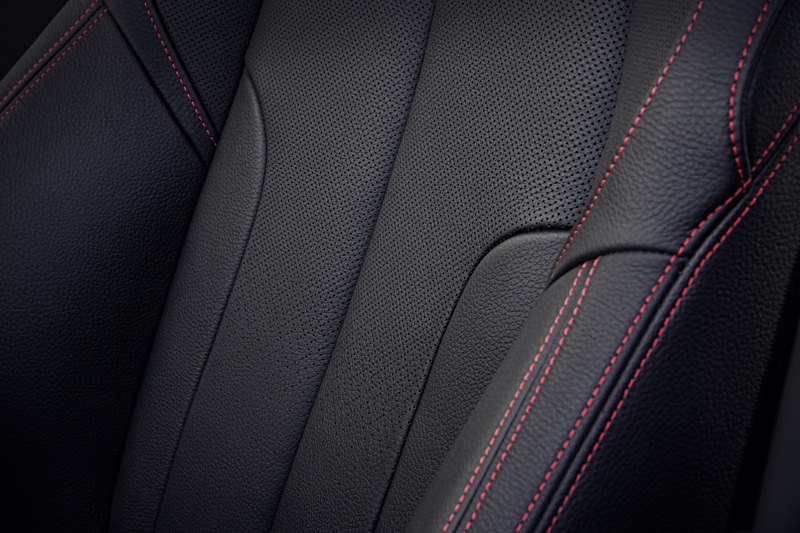 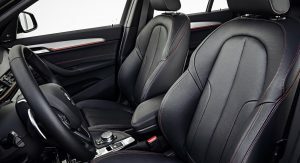 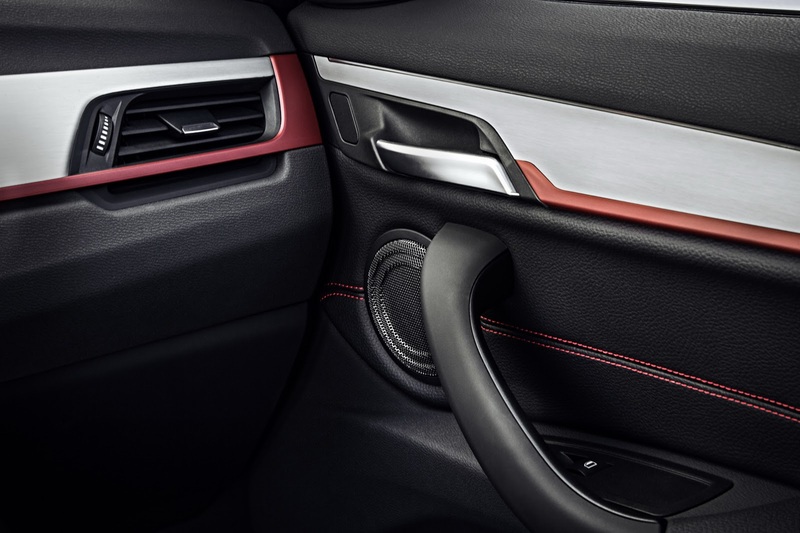 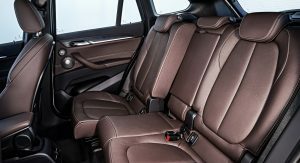 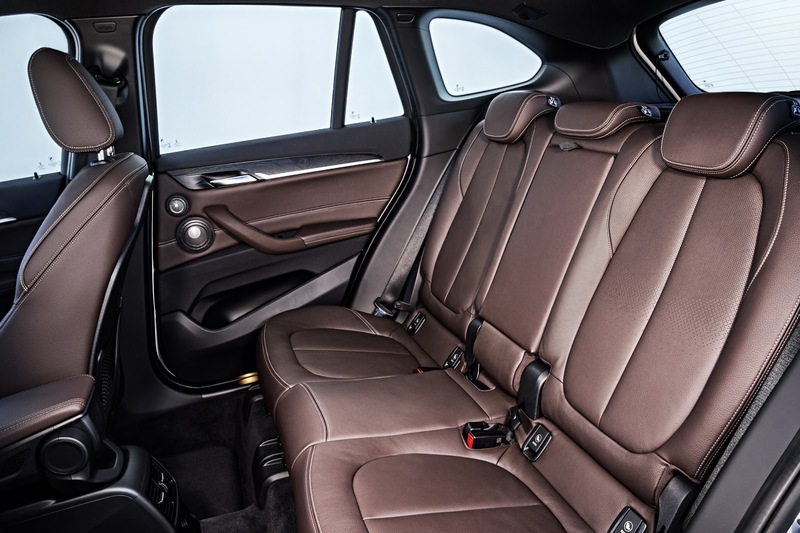 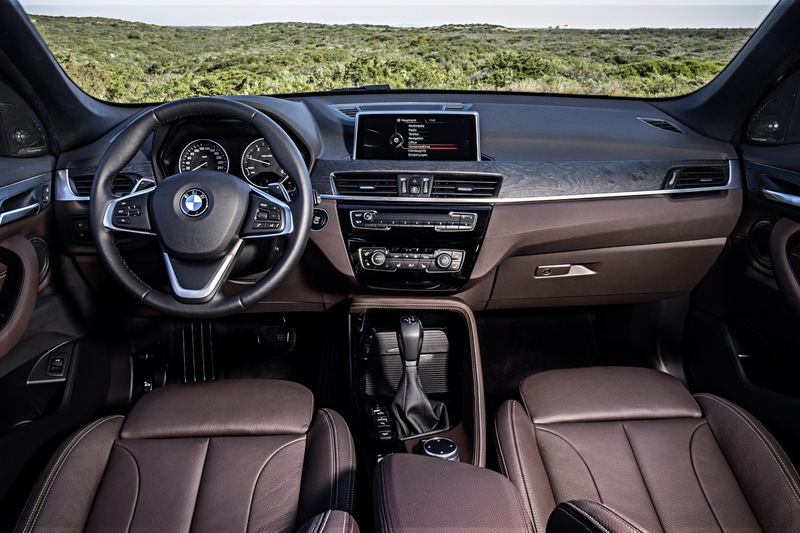 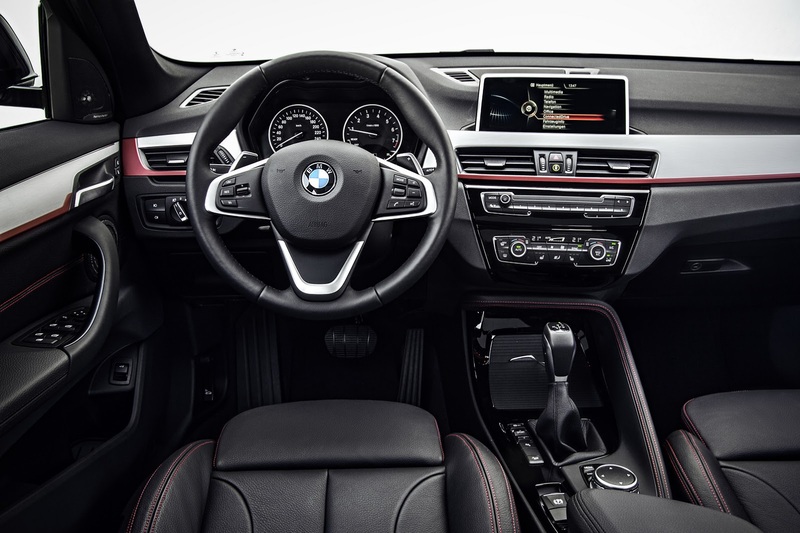 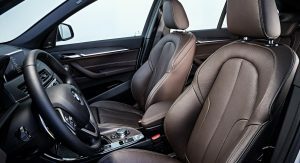 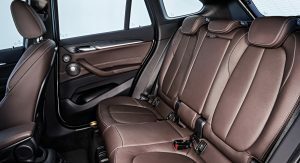 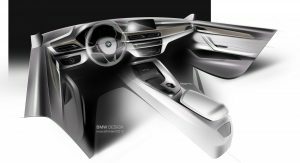 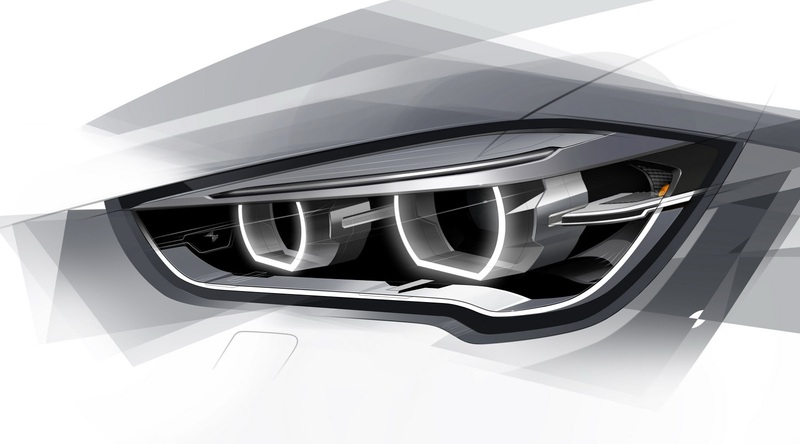 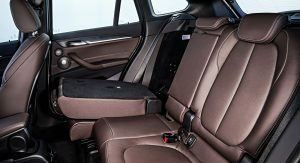 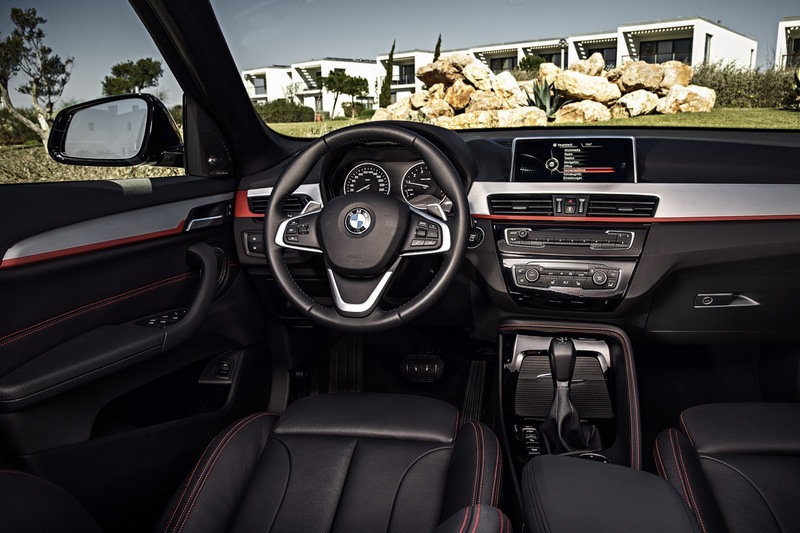 According to BMW, it offers a significantly raised seating position (+36mm or 1.4 in. 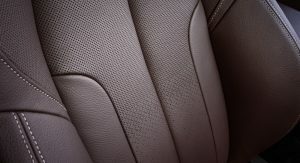 at the front and +64mm or 2.5 in. 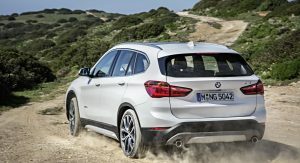 at the rear), along with 37mm (1.45 in.) 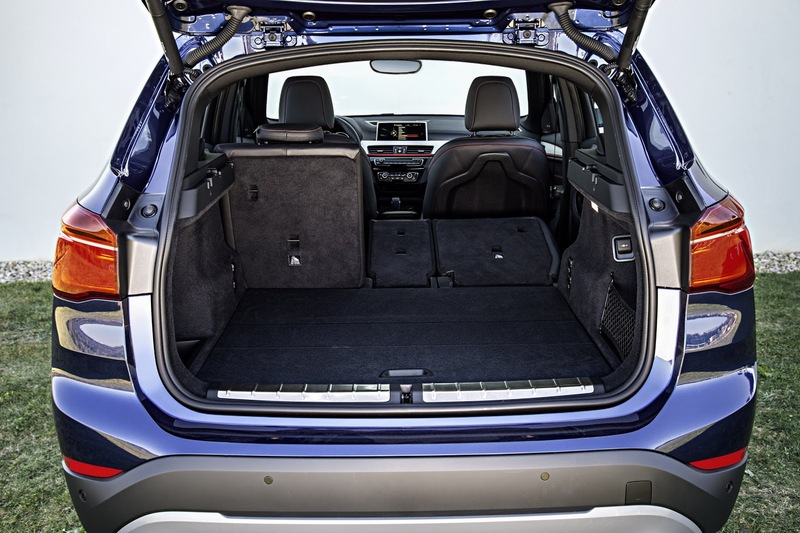 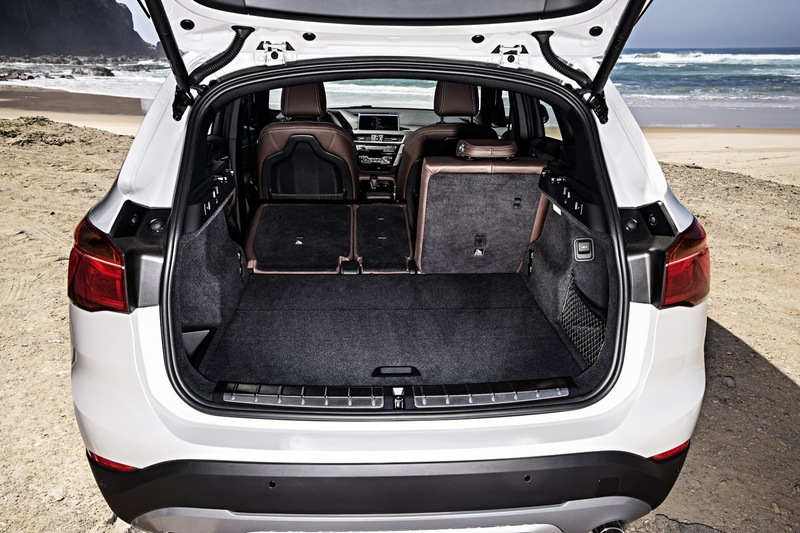 more knee room in the rear in standard specification and up to 66mm (2.6 in.) 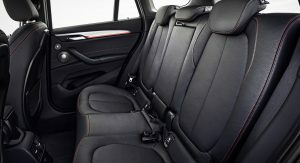 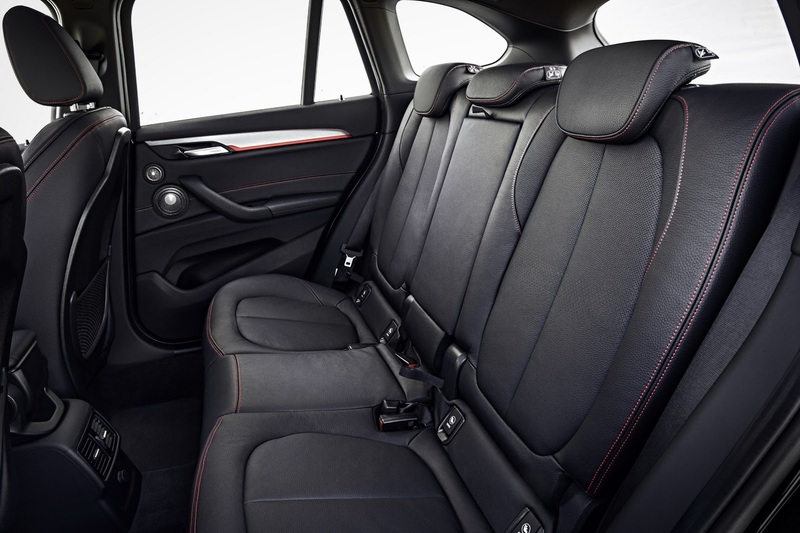 with the optionally adjustable rear seat that can slide 130mm (5.1 in.) 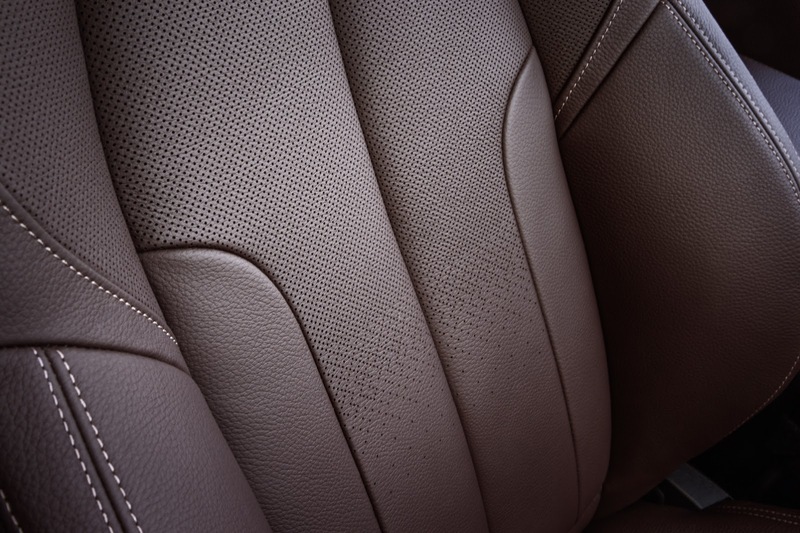 fore and aft. 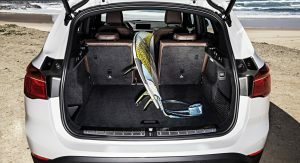 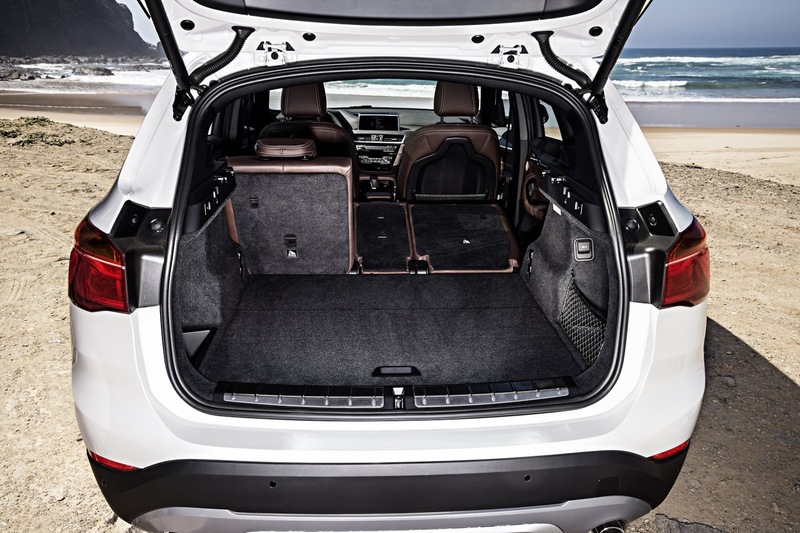 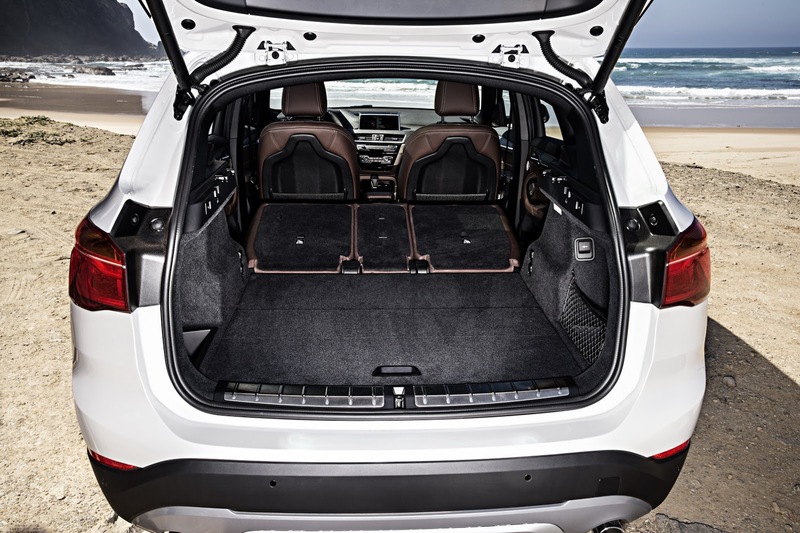 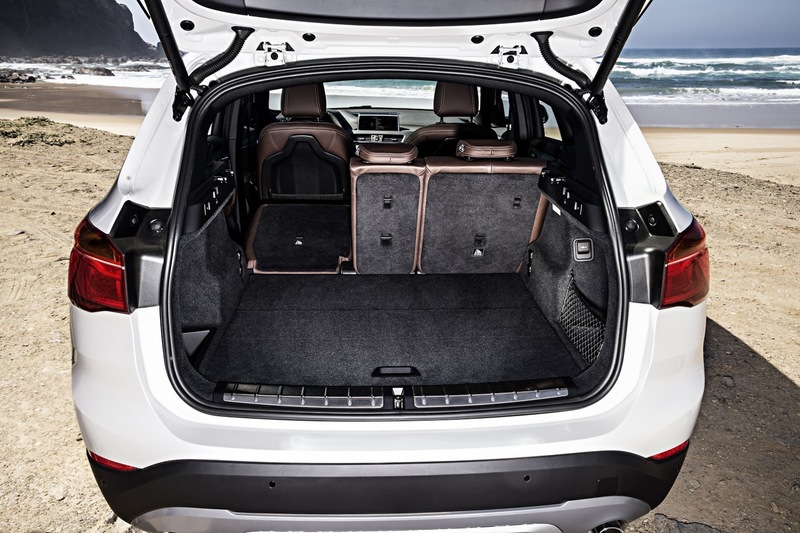 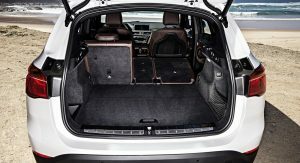 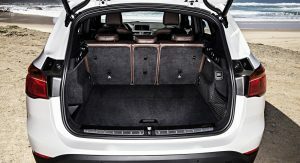 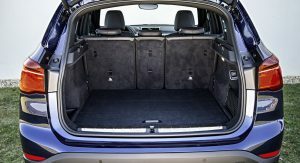 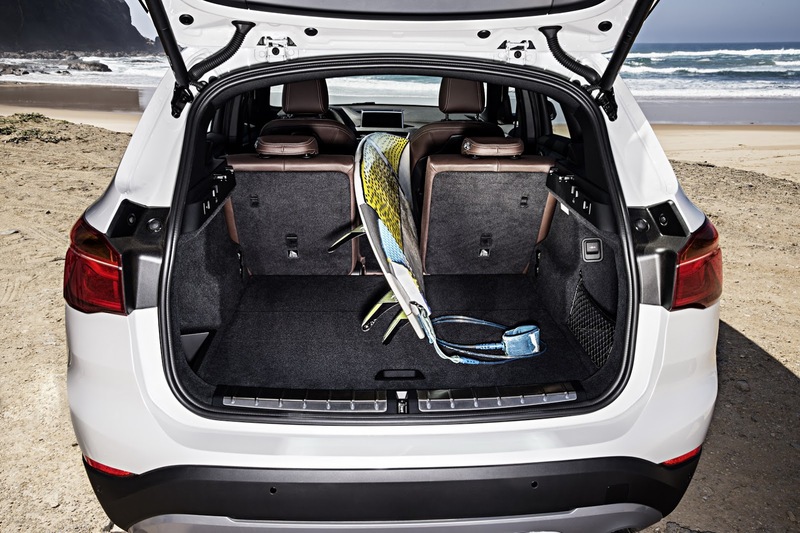 It has a boot capacity of 505 liters (17.8 cu.ft), an increase of 85 liters (3 cu.ft) over the outgoing X1. 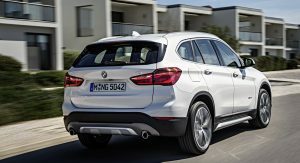 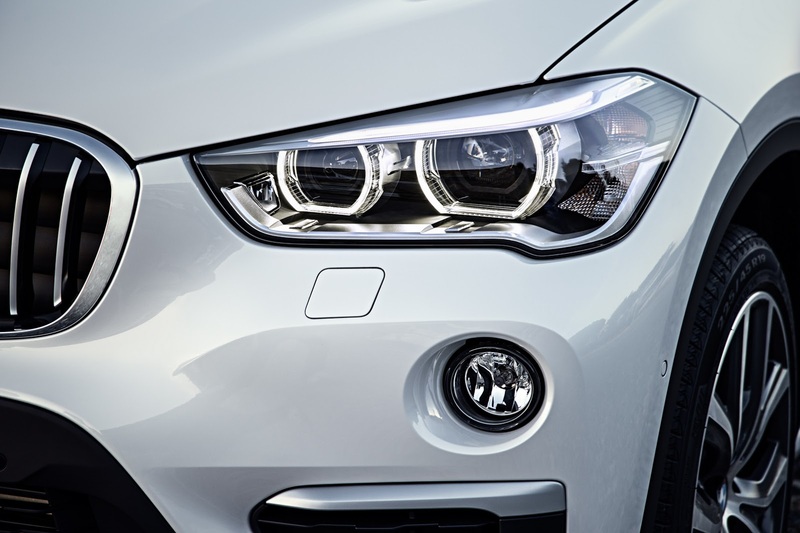 BMW said it will offer four different trim packages named Advantage, Sport Line, xLine and M Sport, in addition to the base version of the X1. 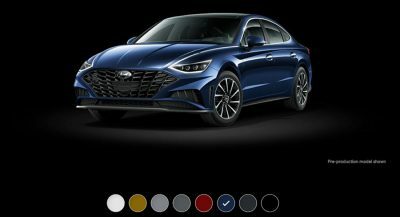 Pricing is expected to be announced closer to its launch date.